The dockless bikes and scooters are not currently allowed to be left or picked up in Alexandria on any public property, but they have been appearing in the city since people can pick them up in Arlington, D.C. and Montgomery County. WASHINGTON — Alexandria is set to allow dockless bike-share and scooters under a program that would mirror neighboring Arlington County’s pilot. Alexandria’s City Council is due to take up the pilot program Tuesday. Officially, the dockless bikes and scooters are not currently allowed to be left or picked up in Alexandria on any public property, but they have been appearing in the city since people can pick them up in Arlington, D.C. and Montgomery County. Arlington adopted rules for its pilot program effective Oct. 1 only after a company tried a guerrilla launch there. Two companies have officially reached agreements with Arlington so far. Alexandria city staff believe the close-knit nature of Arlington and Alexandria neighborhoods makes similar rules the best bet. A presentation set to be given to the Alexandria City Council on Tuesday night outlines plans for a nine-month pilot program that would match Arlington’s beginning as soon as this month. The council would then decide on final rules next fall if Virginia’s General Assembly does not intervene this winter. 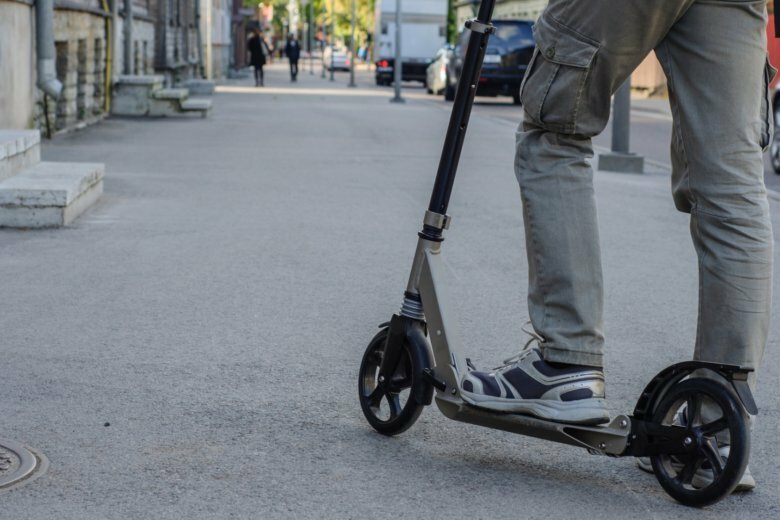 The Alexandria program would require companies to encourage users to ride scooters on streets rather than sidewalks until Alexandria decides whether to make riding the scooters on sidewalks illegal. It would also require the companies work on something in their app that could ensure the bikes or scooters are parked properly, and Old Town Clean Team staff would be allowed to clear pedestrian paths or report issues to the companies. The District recently adopted final rules after many months of delays, and is accepting applications from companies for next year’s permits. Alexandria would charge a one-time $5,000 permit fee to each company to cover the entire pilot period, limit each company to no more than 200 total bikes and scooters unless ridership spikes, require the companies to communicate parking and use rules, and set up ways for city residents to report any problems. The dockless vehicles will not be permitted to be left anywhere that blocks a sidewalk, driveway, fire hydrant or bus stop. In Alexandria, regular bikes are allowed on streets, trails and sidewalks (except the sidewalks on parts of King and Union St. in Old Town). Electric pedal assist bikes are allowed to ride on streets and sidewalks where other bikes are permitted and on trails other than the Mt. Vernon Trail which is technically limited to people on regular bikes or on foot. Electric scooters are permitted on streets, including in bike lanes, and on trails other than the Mt. Vernon Trail, but are would be encouraged not to ride on sidewalks in the city. The city invited the companies to show off their bikes and scooters last month, and conducted an online survey.